Occupancy Sensor's PIR lens is color matched to the device housing and provides a 180-degree viewing angle for 1,000 sq. ft. of major motion coverage (450 sq. ft. minor motion). 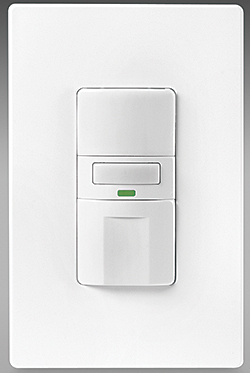 The SAVANT passive infrared (PIR) family of occupancy and vacancy sensors includes switches, dual switches and dimmers. LED nightlight with dimming function optional.